Join us as we celebrate the Resurrection of our Lord and Savior Jesus Christ!! We will begin by remembering His death with a special communion service on Good Friday at 6PM. This is a special time when we gather around tables, enjoy fellowship with one another, and worship God through song and the hearing of His Word. Come back on Sunday morning and join us in worship BECAUSE HE LIVES. 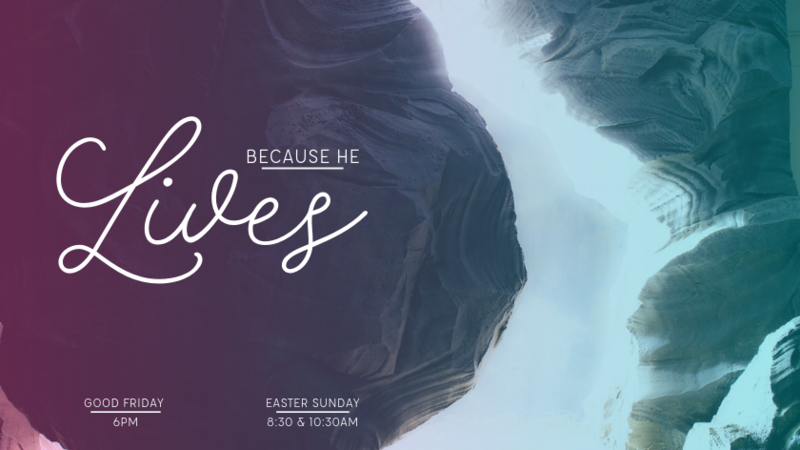 There will be two services EASTER morning at 8:30 & 10:30AM. Childcare for nursery and preschool age children provided. It will be an awesome morning of celebration and worship! We hope to see you there!